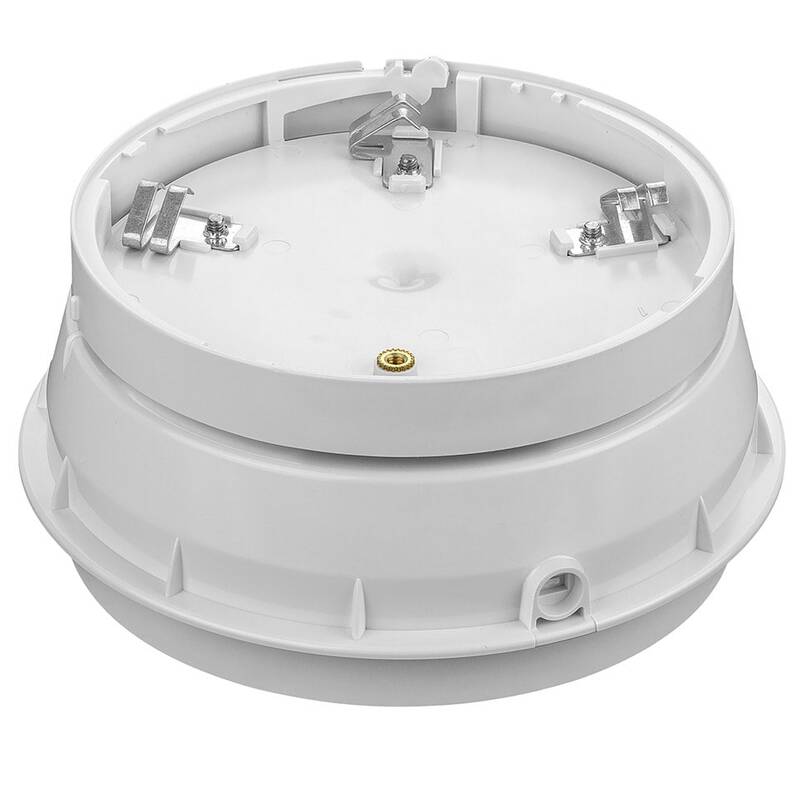 KAC’s modular Detector Base Sounder provides the perfect base for System Sensor detectors and integrates a 32 tone sounder into a single installation point. It is powered by the fire panel using the loop wiring. Operation and control of the device is via System Sensor Advanced Protocol. The device is installed simply by a twist fit onto the universal B501AP base. When triggered by the panel its powerful sounder gives an audible warning. A choice of output levels and tones make the device suitable for a wide variety of applications.